We CAN help share God's love! Blessings on all who donated to the KCRA 3 Kids Can Food Drive. We were able to collect 1629 cans and food items to donated to the Yuba Sutter Salvation Army for distribution to those in need in our community. 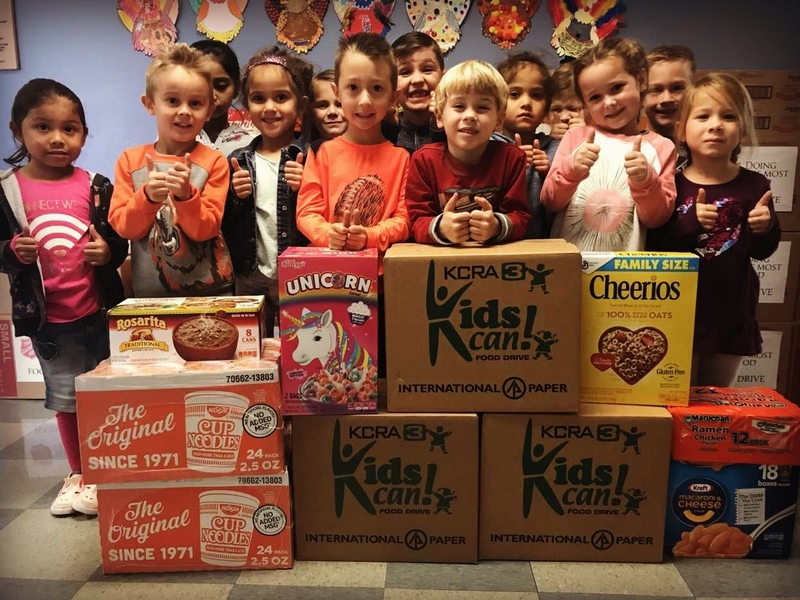 When all was said and done, the Kindergarten class (pictured) brought in the most cans – 370! Great job everyone! Participation in the Food Drive helps to grow a heart of compassion in our students and think of others. Faith Christian School strives to be do-ers of the Word and intentionally "serve one another in love."